There's been a fair amount of discussion since Larry Bodine published his "Red Alert" claiming that the ABA "is quietly gathering support to choke off lawyer marketing on the Internet." I've been following this issue, and I'm not clear what the "RED ALERT" hype is all about. I don’t see any tangible evidence to support this claim. In fact, from my vantage as someone who has been interacting with the marketing/ethics rules nationwide on an almost-daily basis for over 20 years, I think the ABA has been gradually moving in the right direction, loosening up the rules and their application to real-world marketing. I feel pretty qualified to opine on this issue. I'm a lawyer and marketer who's been fighting the marketing-ethics battles on behalf of law firms nationwide since 1990. I've included an overview of my relevant qualifications at the bottom, but briefly, I'm a lawyer and former marketing director, marketing partner, and strategy/branding consultant who's developed 75+ marketing campaigns for firms worldwide. These have included national campaigns that needed to contemplate the ethics rules of all 50 states, and countless state-specific campaigns running in marketing-phobic jurisdictions like Florida. We shouldn’t be arguing about regulating the free-flowing internet or social media as though it's a special case that requires new rules -- that’s a red herring. The Rules don’t care whether it's TV or Twitter, Facebook or face-painting. The Supreme Court, in the Texans Against Censorship, held that speech can be regulated if you use it in a way that "beckons business." If you don’t, it can't be regulated. Very simply, if you paint "Hire me." across your face, then you're beckoning business. As such it is commercial speech, and the government has the responsibility to regulate it for the protection of the consumer. That wouldn’t change regardless of whether you conveyed that same "Hire me" language in a billboard, blimp, bulletin, blog, brochure, or business card. Or in a print ad, newsletter, T-shirt, TV commercial, radio spot, or direct mailer. Or via Twitter, Facebook, LinkedIn, AVVO, or JDSupra. It's what you say. Not where you say it. If, say, you have no personal injury experience and you tweet or post "Hire me to handle your PI case!" you're over-reaching, and the lay consumers who might hire you would be at risk. That's commercial speech, and it's not unreasonable to have the government regulate that -- the courts are quite clear on that issue. When you tweet "I'm eating yogurt," you're not directly seeking business and so that can't be regulated as commercial speech. If you want to blog, tweet, post, comment, articulate political or legal issues or trends, or do any of the other things blawgers tend to do, the state has no authority to regulate it -- as long as it doesn’t directly beckon business. Go nuts. A friend of mine calls the Rules "technologically agnostic." That is, the Rules don’t care what the medium of the message is - it's simply whether the specific language of the communication on its face beckons business, regardless of whether it's a 140-character Tweet or a 5-second TV spot. And whether or not you choose to beckon business in your communications is exclusively within your control. The breadth or scope of the limitations don’t matter -- it's what you say. In fact, the ABA has been relatively reasonable in its recent evolution regarding the marketing of legal services. I haven't seen anything in its recent history that leads me to believe that it's dedicated to choking off new or evolving avenues of marketing. Rule 7.2 clearly states that "a lawyer may advertise services through written, recorded, or electronic communication, including public media." Thanks, John Bates. This is subject to Rule 7.1 which states that this communication may not be "false or misleading." Can't argue with a "don’t lie" rule. "omits a fact necessary to make the statement considered as a whole not materially misleading." Again, that seems fine to me. 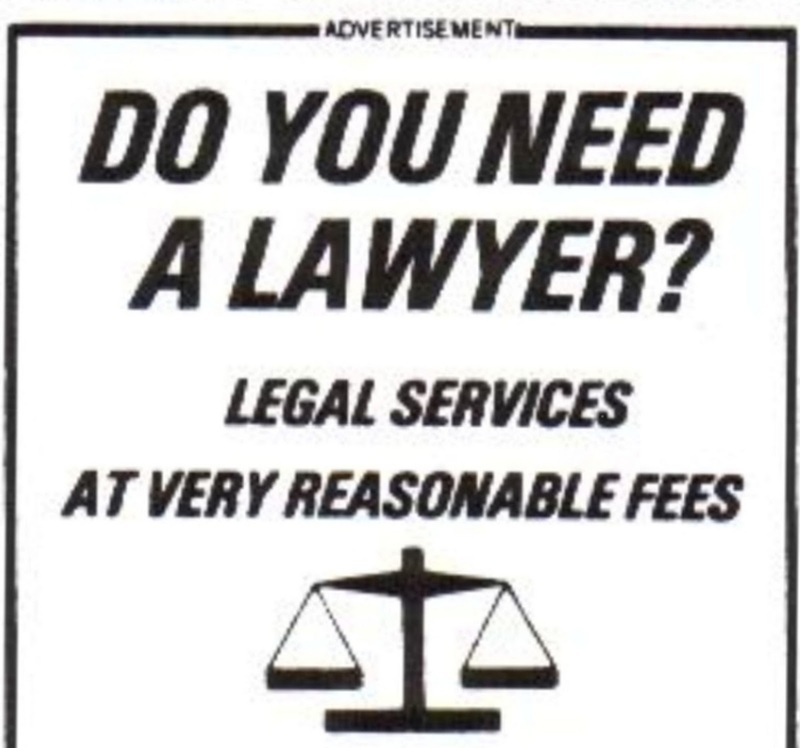 Compares the lawyer's services with other lawyers' services, unless the comparison can be factually substantiated." Previously, the use of almost any adjective could have subjected the attorney to discipline. Even stating that a lawyer was "good," implied that others weren't -- and was impermissible. Marketing without adjectives or comparisons was unrealistic and therefore widely violated. Taking reality into account, the ABA removed that exemption. All this anti-ABA hysteria is a distraction from the real problem, which is how certain marketing-phobic states, e.g. Florida, Iowa, New York, and Texas, have outside the ABA's control, outrageously and arbitrarily extended or applied the Model Rules. Attacking the ABA gives these states just a little more confidence in undercutting those rules further, and developing even more draconian regulations. Instead, we need to advocate aggressively toward uniform state rules nationwide, and the best hope we can have for that is through the support and adoption of the ABA Model Rules. The efforts to undermine the stature of the ABA will forever condemn law firms to seek compliance with the ever-changing rules and obligations of 50 different states. Trying to hit that moving target is unnecessarily complicated. Of course, the ABA isn't perfect. My primary qualm with the ethics policy isn't that it is debating how or whether to apply the Rules to the internet and the evolving new technologies. It can't expand its reach beyond "commercial speech," and has shown no interest in trying to do so. In my opinion, the real problem is that it doesn’t distinguish between Corporate and Consumer practices. The rules presume that a 60-year-old Fortune 500 insurance company General Counsel with a roster of 100 outside law firms and $20 million legal budget needs the same level of protection as an uneducated high school dropout who is hospitalized after a major car wreck. If only we could develop a firm brochure or website so compelling that it could exert an arm-twisting level of pressure upon a savvy high-level purchaser of legal services. I've met countless clients across the US and around the world, and have never met an executive or in-house counsel who needed to be aggressively protected against a firm brochure.